If you're a new driver, regardless of your age, you'll need to complete a Driver's Ed course in order to obtain your driver's license from the Maryland Motor Vehicle Administration (MVA). Your MD driver's education course will include both classroom sessions and in-car instruction, and will help you develop safe driving habits and pass your driving tests. On this page you'll find information about Maryland Driver's Ed courses and how to move on to the next steps of the Maryland Graduated Licensing System (GLS). The Maryland DMV's Rookie Driver program applies to new drivers of all ages and requires you to complete a MD Driver's Ed course. Before starting the driving portion of your driver's education course, you need to get a learner's permit first. You must be at least 15 years and 9 months old to apply for your permit. For more information, visit our Driver's Permits in Maryland page. NOTE: Contact your Driver's Ed provider to check if they have a minimum age requirement for enrollment. You can usually begin the classroom portion without a learner's permit. If you are a new Maryland resident and have held an out-of-state driver's license for less than 18 months, you'll need to complete a Maryland MVA-approved driver's education course. At this time, the Maryland MVA DOES NOT ACCEPT out-of-state Driver's Ed completion certificates. Please contact the MD DMV for more information. You have only held your out-of-state driver's license for less than 18 months. You are a new driver, regardless of your age. The Maryland MVA provides a list of approved driver education schools for new drivers to choose from. Visit the MVA website to find a list of Driver's Ed programs near you. Contact your specific provider for information about scheduling and cost. NOTE: At this time, the MD Motor Vehicle Administration DOES NOT ACCEPT online Driver's Ed, home study, or distance learning courses. Completing a driver's education course will help to prepare you for your DMV written test and driving test. How to be a responsible driver. 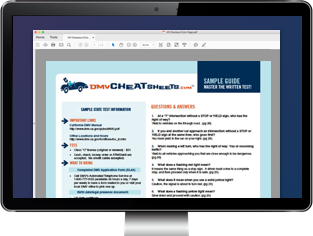 The Maryland MVA provides additional learning resources for new drivers on its website. After you pass your course, your driver's education instructor will submit your proof of completion to the Maryland MVA and you'll be one step closer to earning your MD driver's license.